Why consider a career in payroll? To work in payroll individuals need passion, enthusiasm and an aptitude to learn. The CIPP is proud to have so many fantastic members who are so passionate about payroll and setting such a high standard for the profession. 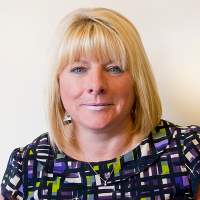 Shirley Harris is the Finance Team Leader at The Chartered Institute of Payroll Professionals (CIPP) and deals with the payroll for all staff and tutors at the institute. 1. What is it that you enjoy most about payroll? The way payroll changes all the time, it’s such a dynamic profession and it’s important to understand the changes. I enjoy the HR aspect of the job and maintaining my knowledge of employment law and understanding how that affects payroll. The job does come with pressure and people need to understand we’re only human. 2. Do you think more could be done to promote the profession? I think the CIPP are doing a great job in promoting payroll as a career because the perception has always been that it’s something you fall into. I do see it as a profession in it’s own right as you do have to be up to date as HMRC are always bringing new things in and people are starting to recognise this is a valid career choice and rightly so! There’s more to payroll than people think, it’s not just punching numbers in. You work with Government legislation from HMRC and therefore working on behalf of the Government. There are also legal issues to consider, such as how legislation has an impact on payroll. 3. Why is payroll an exciting career choice? It has new and exciting challenges every day as it and is never the same and it’s a constant learning curve. This keeps you attentive and ensures you’re always doing the best you can. The industry has been transformed and there are now many men in the profession. My son has just left school and he wants to study and work his way up to do International payroll as he appreciates the possibilities and opportunities that come with it. It would be great to get this message across to attract more of the population. 4. As a payroll professional, why is NPW so important? NPW is important as it demonstrates that payroll is a profession and gives people something to celebrate. It is a chance to let people know what we do and there is more to the job than people realise. 5. How important do you think qualifications are to the payroll profession? Very important, I’ve always studied and I took a course to enable me to obtain this role I’m in now. When I was appointed to this job I wanted to make it my own so I began by studying what is now the old diploma and I am soon to begin my final year for the CIPP MSc in Payroll and Business Management. Qualifications show that you can apply yourself and it enhances your career as well. Taking the MSc has motivated me because it’s taken me out of my comfort zone and given me greater challenges which has ultimately helped me motivate my team members. I really enjoy the management aspect of the course and I’m glad I took the decision to further my studies. If you are interested in a career in payroll, please visit the CIPP payroll jobs board to see available jobs and register with Portfolio Payroll.